Taken with a SBIG STL CCD camera and a 135mm lens on a Takahashi NJP mount with LRVB and Halpha filters. 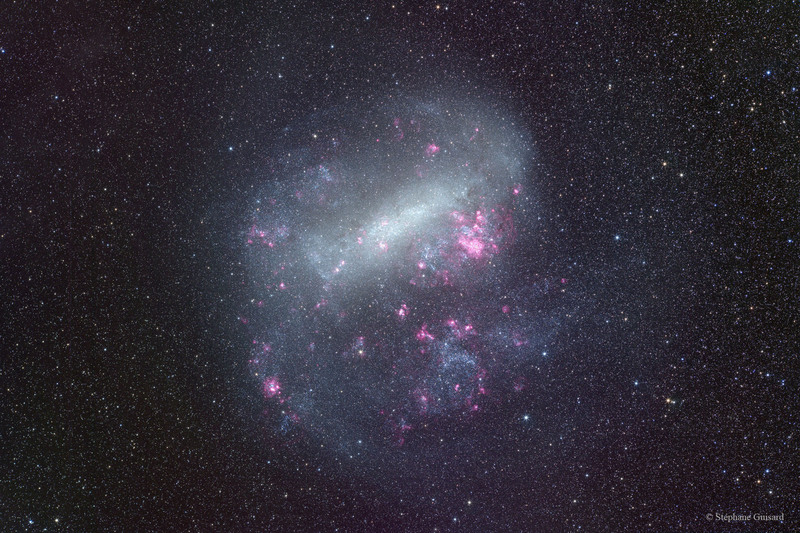 The large Magellanic cloud is a neighbour 'irregular galaxy', however from this picture we can see clearly that it used to be a spiral galaxy. The remaining galaxy arms are clearly visible on the outer parts of it.